DENVER, CO -- A glass of wine with dinner? Or maybe some marijuana? Denver voters have approved a first-in-the-nation law allowing willing bars and restaurants to give patrons the option to use marijuana alongside a cocktail or meal. The catch: Smoking pot won't be allowed inside, and the locations would have to first get the approval of neighbors. Denver voters approved Proposition 300 on the same day that the nation's largest state of California and two others legalized pot for all adults and five more states approved pot for sick people - signs of society's increasing tolerance for the drug. Denver's measure takes effect immediately, but it has a lot of caveats. 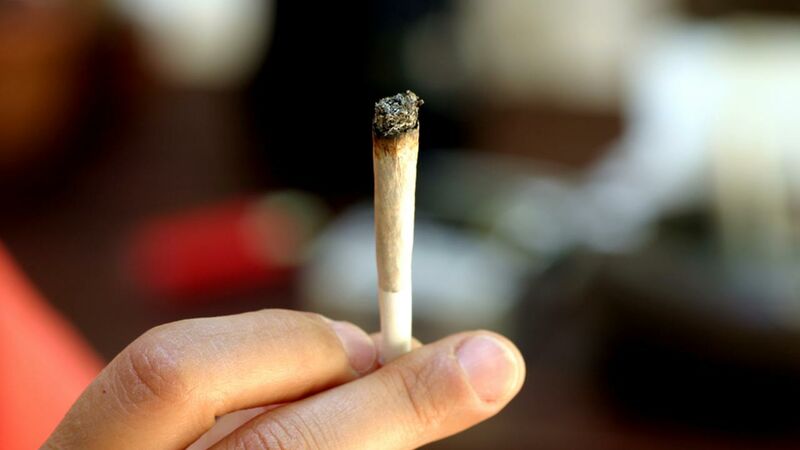 Patrons at participating bars could use pot inside as long as it isn't smoked. The law does provide for the possibility of outside smoking areas under restrictive circumstances. The law also allows for non-service establishments, such as yoga galleries or art galleries, to set up pot-smoking areas or hold events serving both pot and food and drink. Current Colorado law allows jurisdictions to decide for themselves when pot could be used in public. The result is a hodgepodge of local ordinances related to marijuana clubs. Denver is the first city to allow use in bars and restaurants. "The entire goal of this initiative is to provide adults with private places where they can consume cannabis so they're not consuming in public," said Tvert, who said the initiative helps not just tourists but adults who may not want to use pot in front of their kids, or tenants whose landlords exercise their right to ban pot use. Alaska is the only state that expressly regulates on-site consumption at pot retailers. However, the state doesn't allow use in bars or restaurants, and it's still working on rules for how those pot-shop "tasting rooms" would operate. California's recreational marijuana measure approved last week allows pot clubs, and legalization measures approved in Massachusetts, Maine and Nevada don't rule out on-site pot consumption on private property. Colorado lawmakers are expected to consider a bill next year to give all jurisdictions a green light for allowing pot clubs or cafes, though marijuana activists hoped for a similar measure last session and were disappointed.